As a management consultant, coach and professional speaker, Pam Bilbrey actively assists organizations in achieving greater levels of excellence. Building upon personal experiences as well as her lifelong obsession with the study of leadership development, employee engagement and organizational change Pam is able to coach organizations to maximize their current strengths to yield extraordinary results. During two decades of service with Baptist Health Care in Pensacola, Florida , Pam served as Senior Vice President of Corporate Development where she had executive level responsibility in providing strategic direction, operational planning, and overall leadership for both existing and start-up businesses within the corporation. She was responsible for initiating the award-winning corporate university, a much touted system communication strategy, and an award-winning branding initiative. She also founded the Baptist Health Care Leadership Institute, a nationally respected consulting firm that has assisted more than 500 organizations in achieving high customer satisfaction. During her career she initiated two award-winning national educational franchises, served as the primary author of a series of customer satisfaction instruments and developed a national customer satisfaction data center. She served on the boards of the Society for Healthcare Strategy and Market Development and the Institute for Human and Machine Cognition and was appointed by former Governor Jeb Bush to the Florida Board of Governors which oversees all state universities. She currently serves as an expert advisor with the Human Capital Institute. 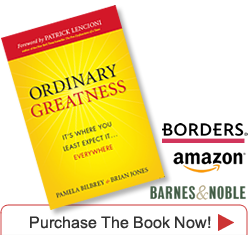 Pam is one of 18 individuals worldwide certified as a Consulting Partner with The Table Group, the consulting firm of Patrick Lencioni, New York Times best-selling author of The Five Dysfunctions of a Team and Three Signs of a Miserable Job. Her work with the Table Group focuses on coaching executive level teams to greater effectiveness. 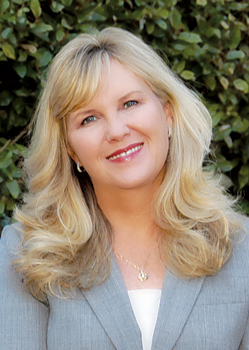 Pam's recent accolades include receiving the 2007 Individual Excellence Award from AHA’s Society for Healthcare Strategy and Market Development, being named one of the Top 100 People in Leadership Development by Leadership Excellence Magazine in 2008 and the Pensacola News Journal Businesswoman of the Year, 2008. Pam is qualified by a Master’s of Science degree, a MBA degree and over 25 years in executive leadership positions. More importantly, she is passionate about her work and accepts nothing less than excellence in all endeavors.